"Where God's love is shown"
Antioch Baptist Church at Columbiana is a biblically centered Southern Baptist Church with conservative values whose purpose is to assemble together in love and unity of the Spirit so that we can: proclaim the gospel of Jesus Christ through preaching and teaching; grow in Christ through study and application of God's Word; praise God through blended styles of music; return to Him a portion of the blessings He has blessed us with; offer prayers of thanksgiving and petition; offer our services to Him and others; build a fellowship among all believers; and minister to the community. We fully support the Baptist Faith and Message adopted by the Southern Baptist Convention, dated June 14, 2000. This pamphlet identifies what our church believes about the Scriptures, God, Man Salvation, God's Purpose of Grace, The Church, Baptism and the Lord's Supper, The Lord's Day, The Kingdom, Last Things, Evangelism and Missions, Education, Stewardship, Cooperation, The Christian and Social Order, Peace and War, Religious Liberty, and the Family. 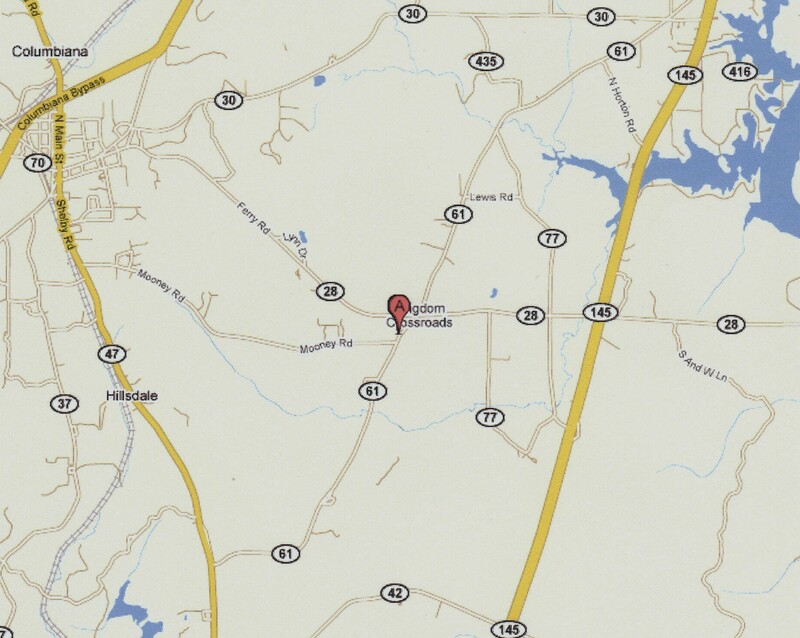 Antioch Baptist is located just three miles out of Columbiana, Alabama. From Columbiana, follow County Highway 28 east to County Highway 61. Turn right on 61 and the church is on the immediate left. And they stripped Him and put a scarlet robe on Him.